I think I have been bitten by the cupcake bug. 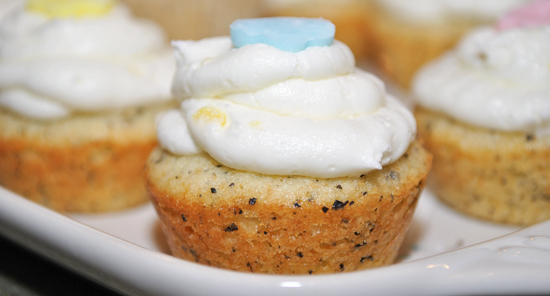 All I have been doing during my lunch breaks lately is looking online for cupcake recipes. 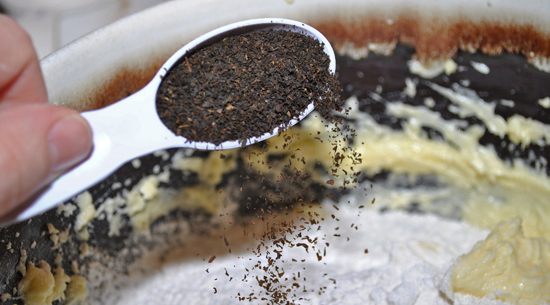 I've found so many different ones to try but when I stumbled upon this Earl Grey cupcake recipe I was really intrigued. I love to drink tea, but using tea to make cupcakes I was not really sure about. So off I went to try these out. Verdict- DELICIOUS! The tea has a floral citrus note which really flavors the cake. The buttercream was good as well but it was a little too lemony for my taste. I think next time I would just lightly frost the cupcakes instead of piling it on and I would use less lemon zest. Also, I poured the contents of the tea bags in to a bowl and then measure out 2 tablespoons. The recipe makes a lot of batter so I used a mini muffin pan for the rest. I've included the recipe for these cupcakes at the very bottom of the post. Here's a tip-if you only have half of the muffin tins filled with batter place a small amount of water in the empty tins before placing the pan in the oven to bake. This helps keep the baking even and does not dry out or over cook the cakes. I love how decorated the cupcakes with little fondant flowers (first time using fondant!). 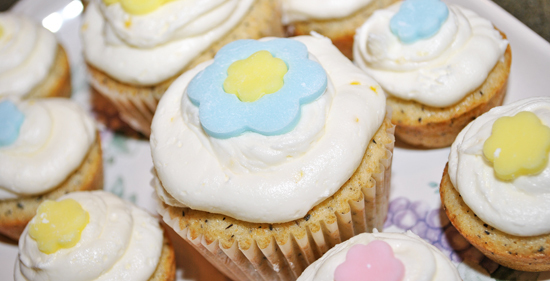 It make the cupcakes look very springy-perfect for this Easter weekend. I hope you all enjoy this recipe and I hope you all have a wonderful blessed weekend.